This past week we have been learning all about "Mo". 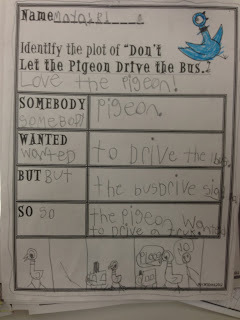 Mo Willems' books have quickly become a favourite choice for my students. Therefore, I thought the students would love doing an Author Study on Mo. We began our author study by getting our hands on as many Mo Willems' books as we could. Luckily, our school library and I had a lot of Mo Willems' books. Students were pleasantly surprised when they went to their literacy stations that morning to find many of their stations changed to Mo Stations! 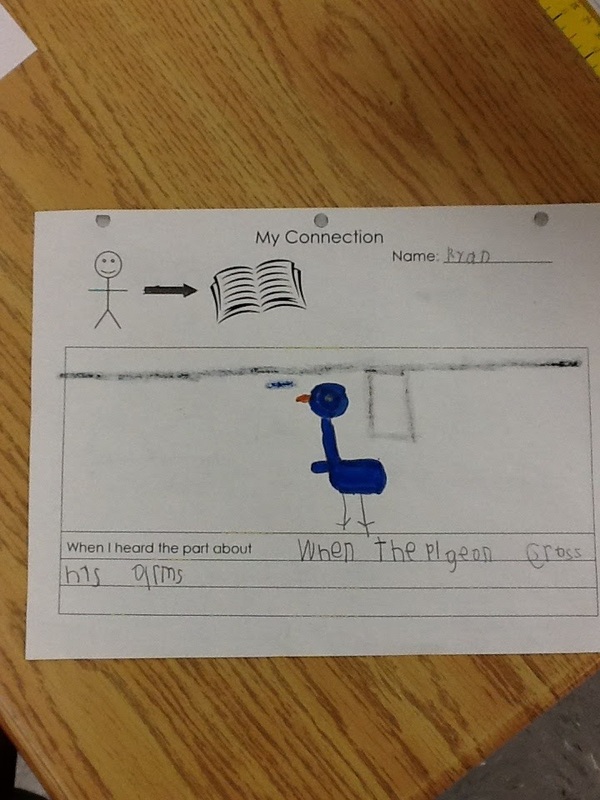 At the writing station their was a procedural text on how to draw the pigeon. Students were asked to draw the pigeon according to the directions and to brainstorm a list of possible book titles that they could create about the pigeon. 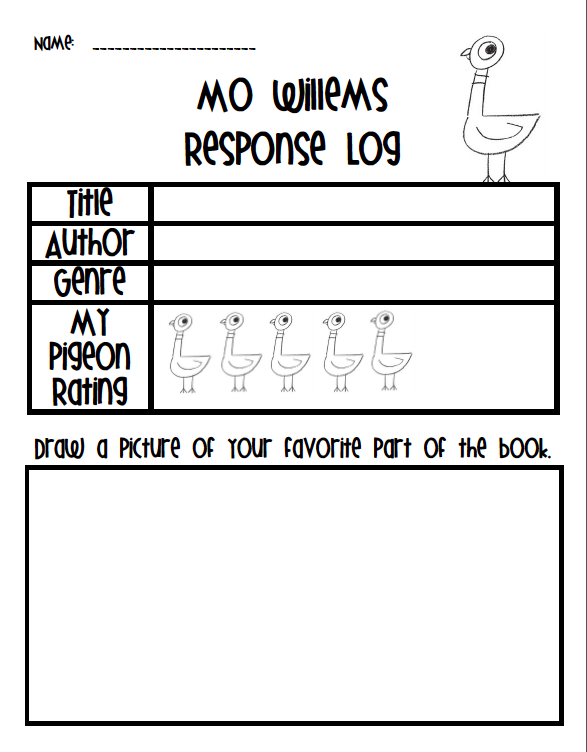 At the library station, students were able to read from the many Mo Willems' books we had collected and then fill out a response sheet on one of the books they had chosen to read. At one of the iPad stations, we downloaded The Pigeon App. Students are loving this app! 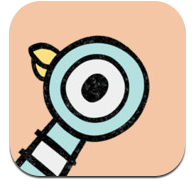 Here is the description of the app from the Apple Store, “Don’t Let the Pigeon Run This App!” lets you create your own Pigeon stories with your pal, Mo Willems. 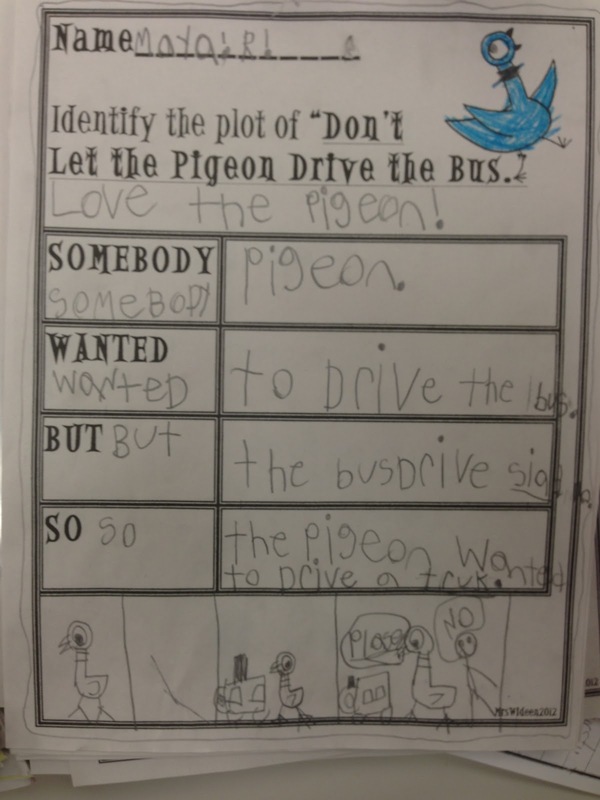 Just follow as the Bus Driver asks you for your ideas—then shake the Pigeon. Your story is ready! Sit back and enjoy the show. Once you’re finished, try it again…and again. You can make as many silly stories as you want." 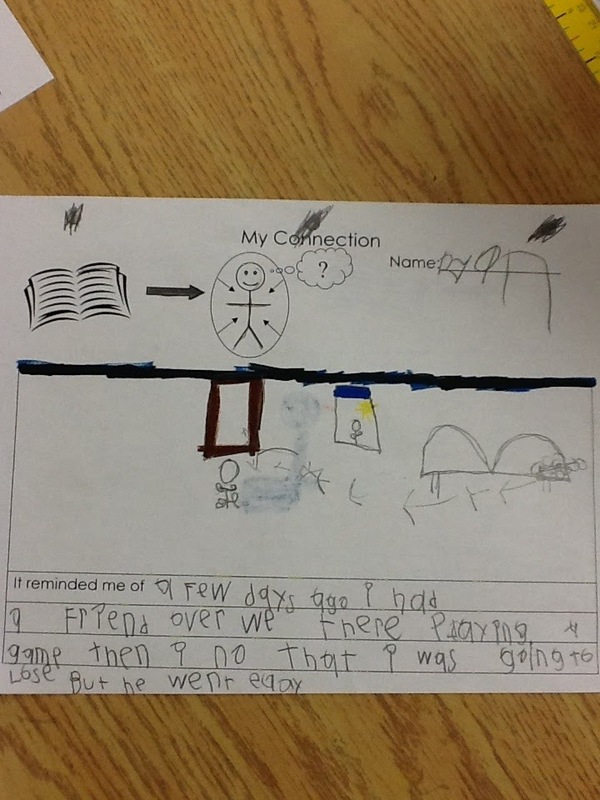 The second day of the unit, students learned about speech bubbles and how they add to a story. 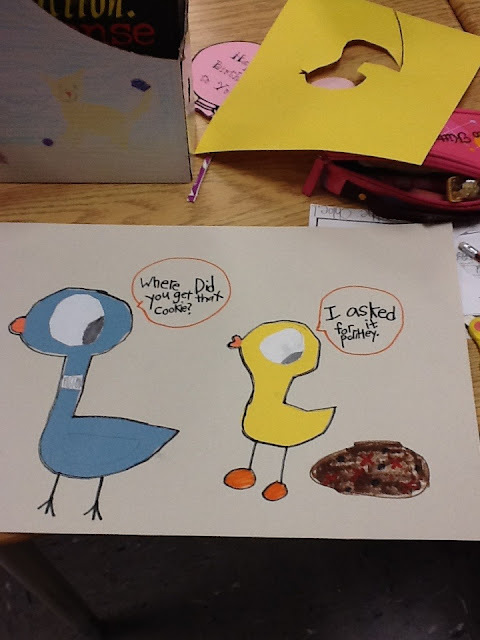 Students made their own Pigeon and Duckling and made speech bubbles to go along with their picture. 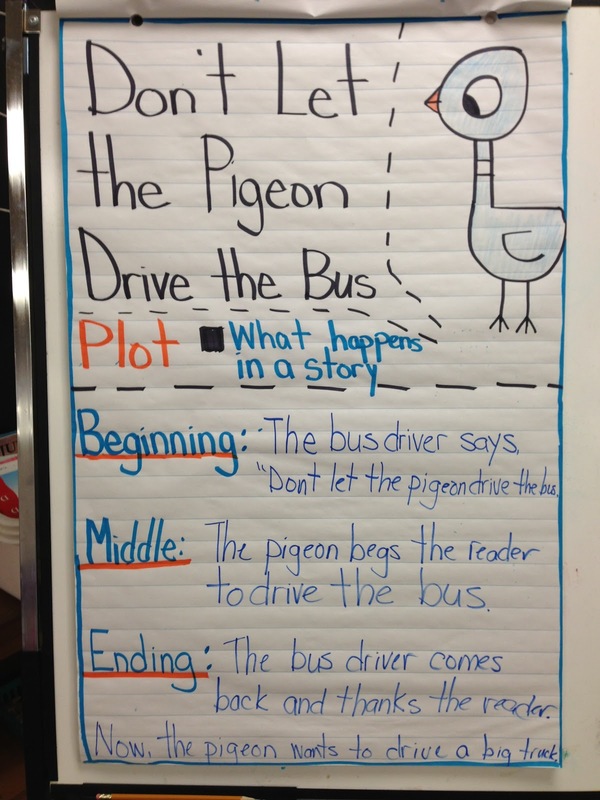 The third day, students learned about plot. 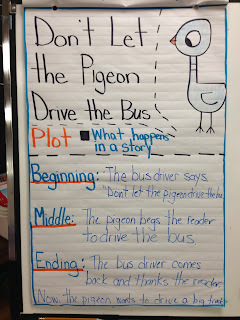 We read, "Don't Let The Pigeon Drive The Bus." 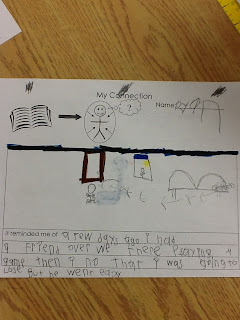 We made an anchor chart about Plot and we talked about the beginning, middle and end of the story. 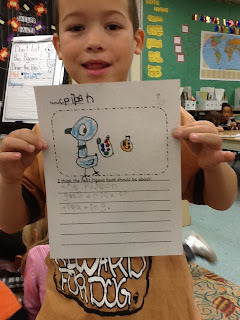 Students then completed their own sheet. 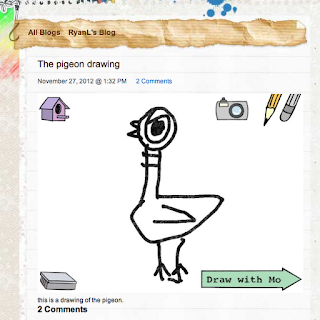 It was such a fun week learning about Mo Willems! Such a great idea! 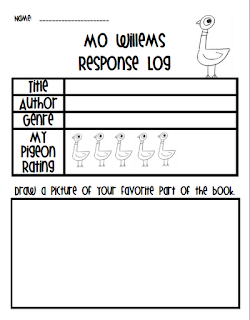 I love all the Mo Willems activities - my Grade ones would LOVE it! We've been reading all the Elephant and Piggie books. They have quickly become our class favourites!! How fun! The students' learning went well beyond the pages of the book. My favorite was "Where in the World is Knuffle Bunny!"